Ten years is a long time to get back to business. It's been that long since Italy's Holy Knights cut their debut album. However, its hard to blame them for the pause as they were active in different side projects including works from Thy Majestie, Trinakrius and CrimsonWind. Yet, it's good to have them back in 2012. 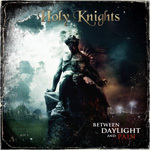 Between Daylight and Pain is a strong album of symphonic power metal. Holy Knights: somebody remember to shave for the photo shoot. After all, Holy Knights is from Italy, the home of epic and symphonic power from Rhapsody, or Rhapsody of Fire if you prefer, by example. This three man crew packs a punch, too. 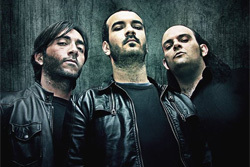 Their song arrangements build upon the speed and heaviness of power metal. Then the wrap them in symphonic synthesizers, frosty guitar solos, and soaring vocal arrangements. Did I say Holy Knights do epic Italian power metal? I did. While this could easily be typical and generic of the genre, Holy Knights are quite creative in their craft. Much of this comes from the progressive metal nuances like mixing tempo changes or adding acoustic segues. Mostly, however, the arrangements are grand and explosive, a mosaic of elements that create a rich and entertaining sonic tapestry. 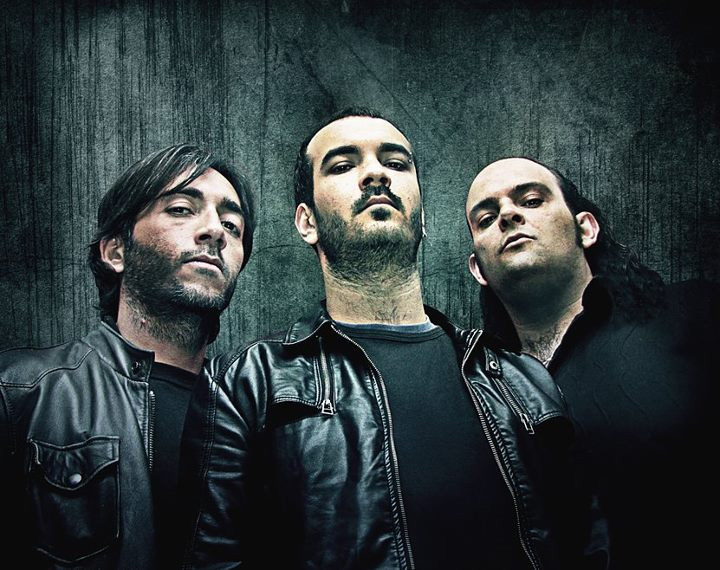 Remember this only three musicians doing this; they're Italian power metal wizards. The choice cuts are Mistery, Glass Room, Beyond the Mist, and the delightful Wasted Time. However, the closing piece, The Turning to the Madness defies comparison to the rest of the album. It revolves mostly around the vocals, symphonic elements, and soaring guitar solos, but its hardly bombastic or speedy like the other tunes. It's likely the best track here. With Beyond Daylight and Pain, we welcome back Italy's Holy Knights, and that's a good thing. This is a solid album of classic symphonic and progressive power metal. Easily recommended. With Beyond Daylight and Pain, we welcome back Italy's Holy Knights, and that's a good thing. This is a solid album of classic symphonic and progressive power metal.